Here are a couple of short extracts from the book itself. The police treaded carefully in ‘the Meadow’, mindful of the perils of interfering in disputes in this quarter. As a Manchester detective noted in 1869, ‘When a row breaks out here, it is nasty. They use all sorts of weapons, pitch pots out of the upper windows, use feet, knives, and anything which comes handy.’ The Manchester Weekly Times agreed. ‘Pugilism is common there’, the paper noted, ‘and women have been seen half stripped, fighting like men. Very recently two women were on the ground, not only fighting, but biting one another, in what they called “true Lancashire fashion”.’ Yet for all the protestations of the police and the press, Charter Street did adhere to a fighting code which was instantly recognisable in society at large. In mass brawls weapons were used freely enough, but when two grown men fell out they were expected to settle their differences in a fair fight. In Charter Street, as elsewhere across England, fights were usually scheduled for Sunday afternoons. The Flags, the old burial ground, was the preferred spot in Angel Meadow. Perhaps the most noted event which has occurred for the last few years was a most vindictive fight between two one-armed beggars, which was witnessed by many hundred people, who were drawn together by the oddness of the conflict. ‘Bacup Billy’ was a quiet enough fellow till roused, when he came ‘dangerous’. Stumpy was a bully, and more ‘dangerous’ still, besides that he had been a navvy and was ‘strong as a horse.’ Some bullying of Stumpy’s led to a challenge from Billy, which was eagerly accepted. The fight was all in Stumpy’s favour, much to the disgust of the spectators, until about the sixth or seventh round of the most close and determined character of fighting, when, Billy having been thrown, Stumpy gave him a crashing kick in the ribs as he lay. Then the spectators threw themselves on Stumpy, and would have torn him limb from limb but for Billy, who screamed out with tears of rage that the fight might be allowed to continue. This at last was permitted, and afterwards Stumpy became cowed, and all went in ‘Bacup’s’ favour. Once the men were rolling on the ground when the bigger villain bit through Billy’s hand (completely through), and the consequence was that the crowd smashed him into a crushed, shapeless and bleeding mass, in their indignation at such foul play. 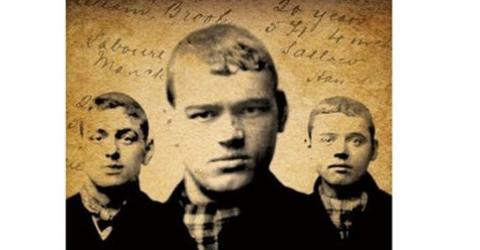 Bacup Billy never recovered from the fight and died from his injuries the following year. Stumpy did recover, but he had no choice but to leave Manchester. Having breached Charter Street’s fighting code, he was an outcast among villains. My great, great grandfather and his family lived in Charter Street until he died in 2006. I am on the trail of him at the moment (tracing the family tree) and it is interesting to have some background as to the area he lived in. an alteration to the date my grandfather and his family lived in Charter Street. It should read he died in 1906 !! My great grandfather Charlie Chatburn is mentioned in the book, he lived on Pollard Street. Only just started reading it, but I know already it will be a fantastic read. Hi Barbara, my Grandfather was Charles Chatburn and he lived in flats in Harpurhey. Please feel free to contact me by email to see if there is a connection. Helen.